Nurture both body & spirit with my delectable duo of heavenly bath blends. These luxurious blends are totally irresistible (and rather good at calming and soothing temperamental skin too! So really now you have absolutely no excuse not to lock yourself away and indulge both body & soul with these luscious skin loving lotions. 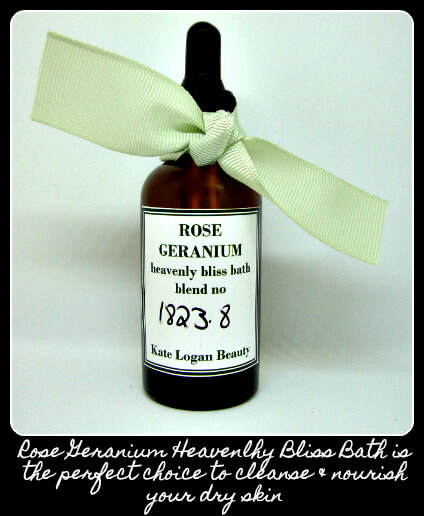 Rose Geranium Heavenly Bliss Bath is the perfect choice to hydrate & soothe skin prone to dryness & dehydration. It's blissfully uplifting floral fragrance is utterly irresistible. To really treat yourself follow with my Rose Geranium Heavenly Bliss Balm.